If you or a loved one has been injured in a car wreck, it is in your best interest to obtain a crash report after first seeking medical treatment for your injuries. 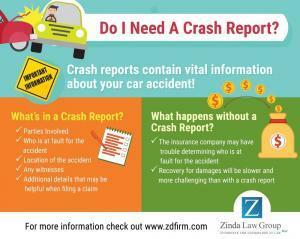 Traffic accident reports may be vital in establishing fault and recording the details of a car accident. Filing a car accident report could be a huge benefit if you decide to seek compensation for the injuries you sustained in the wreck. How Do I File a Crash Report? If you have been injured in a motor vehicle collision, you should first seek medical treatment for your injuries and then file a crash report with your local law enforcement. To learn what steps you should take to officially report a car accident, select your city below. 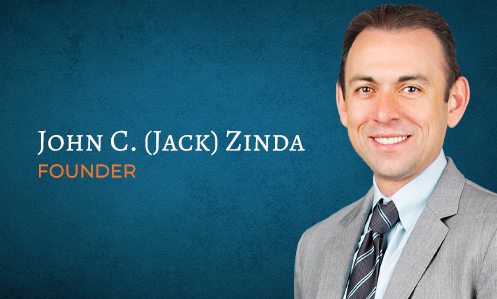 At Zinda Law Group, our car accident attorneys have helped countless accident victims get their lives back on track after suffering an injury. We have the knowledge and resources necessary to help you build the strongest case possible and pursue maximum compensation for medical bills, loss of income, pain and suffering, and much more. Our firm also believes that a car accident injury victim should never have to worry about being able to afford excellent legal representation. That is why we offer 100% free consultations, and why you will pay nothing unless we win your case. That’s our No Fee Guarantee. If you or a loved one has been injured in a wreck, call Zinda Law Group today at (800) 863-5312 to receive your free consultation with one of our skilled motor vehicle accident lawyers.